One great thing about Windows 10 is that it has lots of small but essential tweaks for power users. For this tutorial, we're looking at a great option for anyone running a multi-monitor setup, especially for folks rocking 4K monitors. 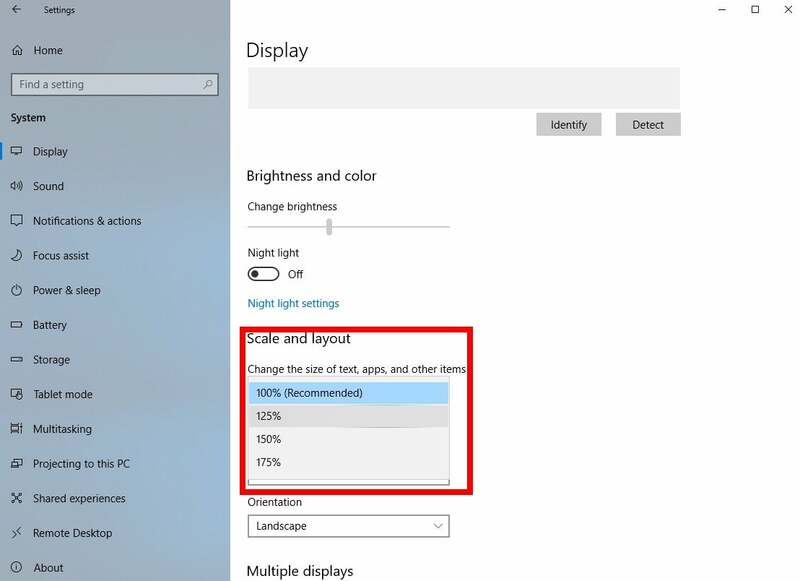 Windows 10, like Windows 8.1, includes an option to adjust the dpi (dots per inch) scaling on a per-monitor basis using a percentage scale. This wonderful tool gives you more granular control when you're using monitors of varying resolutions or monitors with the same resolution but different screen sizes. This is far preferable to applying a single DPI scaling percentage to all of your monitors—which can result in nasty sizing wonkiness—as older versions of Windows did. To get started, right-click any empty space on your desktop and select Display settings towards the bottom of the context menu. Alternatively, you can go to Start > Settings > System > Display. The Settings app in Windows 10 is ready for per-monitor display scaling. Once you're there, you've won half the battle. You should see a graphical layout of your monitor set-up. In this case I have a laptop display labeled 1 and an external monitor labeled 2. Lower down the screen under Scale and layout you'll see a drop-down menu labeled Change the size of text, apps, and other items: X% (Recommended). It used to be a slider in earlier versions of Windows 10, but because this feature defaults to certain scaling pre-sets, a drop down made more sense. Before you start changing the scaling, check to see which monitor is highlighted. In this case, the laptop monitor is highlighted in blue, but I don't want to change the scaling for this display—the 1920-by-1080 view automatically scaled to 125% is just fine. The larger 1080p monitor, however, would be easier for my tired eyes to handle with a little scaling applied. Windows 10's per-monitor display scaling in action. 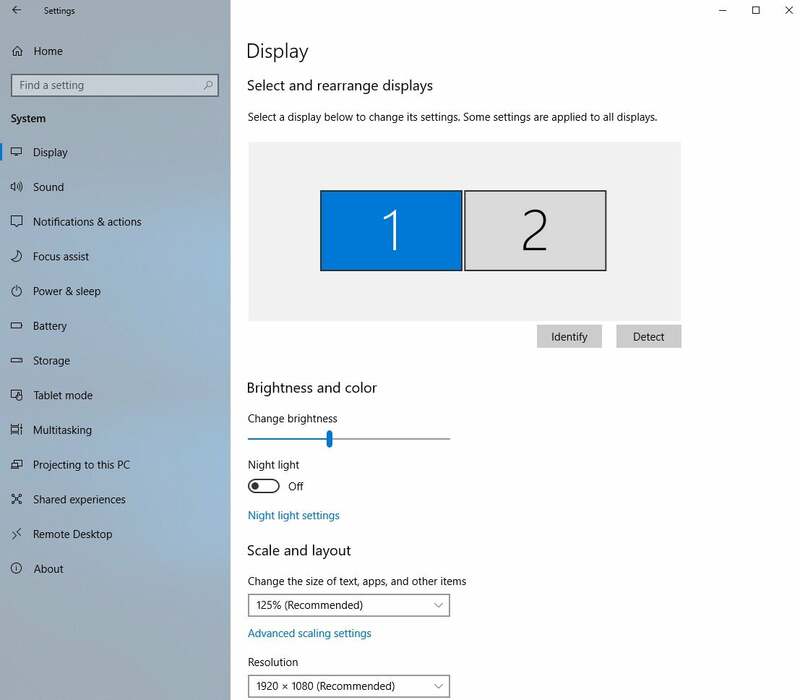 All I do is click on monitor 2 in the Settings screen, and then choose my scaling as seen above. The pre-set choices for my 1080p monitor were 100, 125, 150, and 175 percent. Some displays will have different scaling options. I have a laptop with a 1366x768 display that maxes out at 125 percent, for example. Your mileage will vary depending on the resolution of your monitors. For best results sign out and back in to Windows 10. Now that we've applied different scaling settings we have to do a little clean-up. 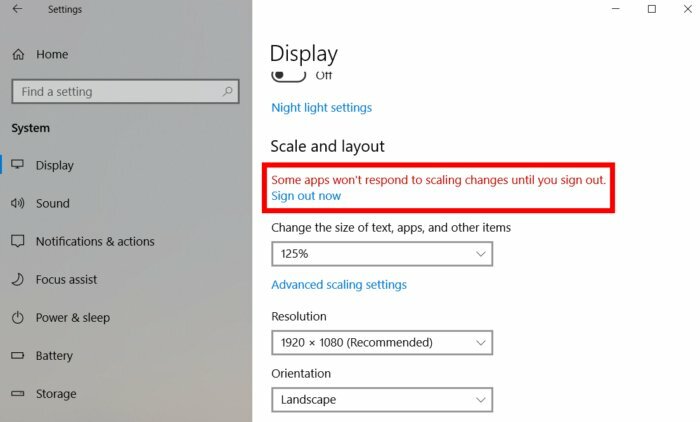 At this point, Windows 10 may tell you that you need to sign-out and back in again before some apps on your PC respond to the new scaling settings. When we first looked at this feature back in 2015, you definitely wanted to follow Microsoft's advice right away. Now that we're deeper into the age of 4K, however, it's not as necessary as many developers are packaging high-dpi assets in their programs. Still, if you've got a lot of older programs that don't get updated much, signing in and out again is advised. Once you're back in, we've got one more scaling setting we can use. Open the Settings app again to System > Display. Under the scaling drop-down, select the Advanced scaling settings link. Windows 10's advanced scaling settings. That will take you to a second page. 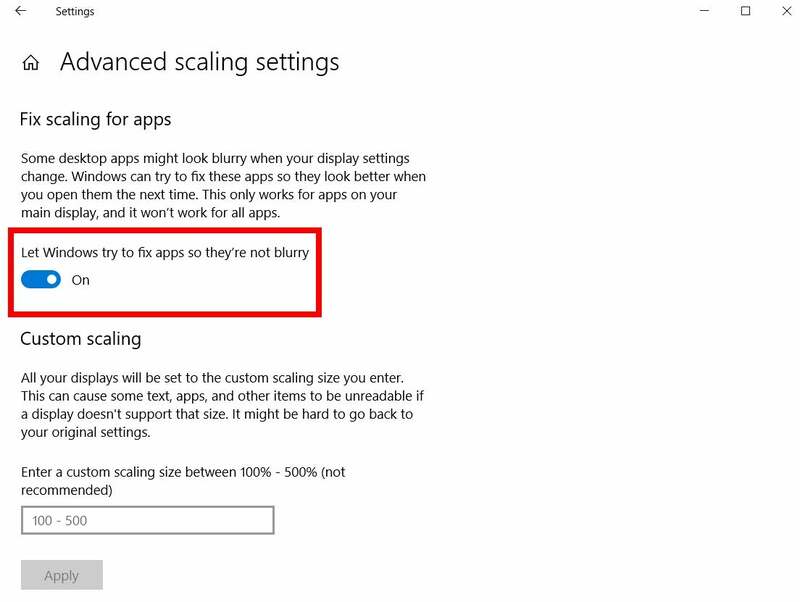 Here, turn on Let Windows try to fix apps so they're not blurry by clicking the slider. This will let Windows try to scale up any apps that aren't making the cut. 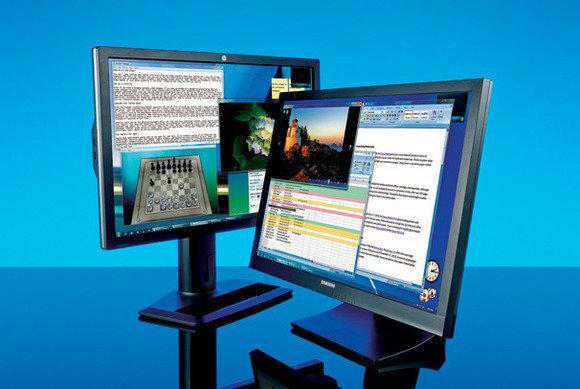 Power users with multiple monitors at the same resolution may want more refined scaling than the pre-sets can offer. They can return to the advanced settings screen under Custom scaling (pictured above). Here you can enter a percentage between 100 and 500 to apply a blanket scaling to all your monitors. This article originally published July 30, 2015.